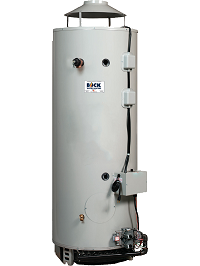 A wide variety of models ranging from 250,000 to 725,000 BTU input with Natural Gas or Propane. All models feature electronic ignition and automatic damper. Low Profile selection of 80 and 100 gallon models available.